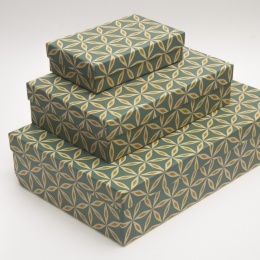 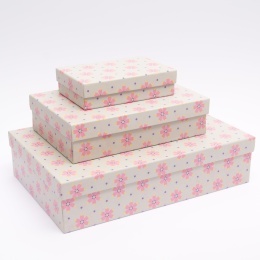 Our pretty, patterned boxes brighten up your shelves and hold all kinds of your most treasured mementos. 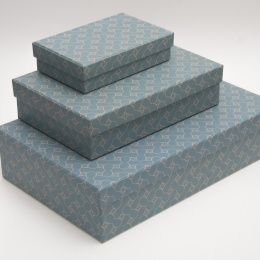 As storage boxes or gift boxes, they add that little special something and make your present as unique as the person receiving it. The boxes are all handmade and come in a set of three different sized boxes from one pattern - stacked inside each other - and are available in 5 selected patterns from the OLIVIA series.